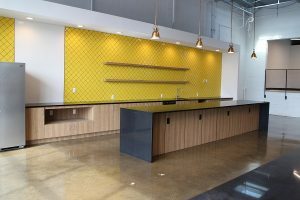 Venture X plans to open May 9 in an 18,200-square-foot facility in the former McKinnon and Harris building at 1806 Summit Ave.
Like most coworking spaces, Venture X offers several common areas that members pay to use. But a bulk of its space will be devoted to 80 private offices that offer between one and 10 desks. Harry Vinson, Venture X Richmond president; and Allison Opel, Venture X Richmond community director. Harry Vinson, who owns the local Venture X franchise, said 47 percent of those private offices have been leased. Memberships start at $40 per month for a community membership and go up to $500 per month for a private office. Venture X is leasing its space from the building’s owners – a group that includes local development firm Spy Rock Real Estate Group, and local entrepreneur and investor Brad Cummings. They purchased the 36,000-square-foot property in May 2018 for $2.4 million, with a plan to convert it into office space. Vinson declined to disclose an investment estimate for the buildout of the facility. Richmond-based Urban Core was the general contractor for the project. Architecture AF designed the space and PermitZIP has completed its engineering drawings. 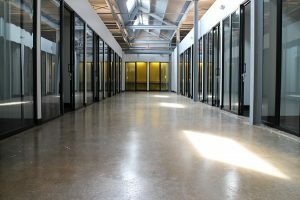 Venture X will offer 80 private offices consisting of one to 10 desks. Evan Opel, vice president of Florida-based United Franchise Group, which owns Venture X, said members will have 24-hour, seven-days-a-week access to the Scott’s Addition location. Members also will have similar access to Venture X locations around the country. Venture X also has onsite parking, mailboxes and a cafe that can double as event space. 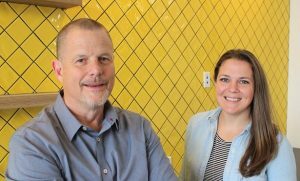 The company has hired Alison Opel, who is married to Evan Opel, as its Scott’s Addition’s community director, where she will be tasked with building membership and planning events. 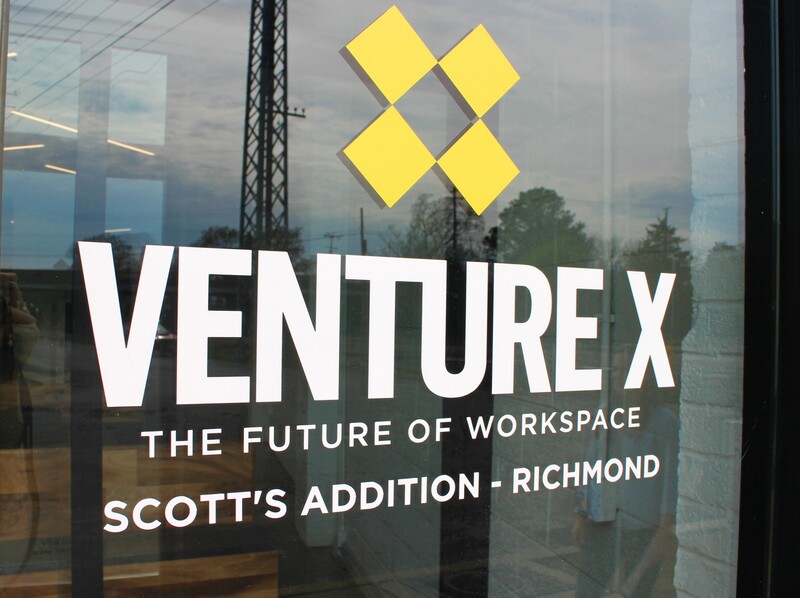 Venture X’s pending arrival adds to the area’s growing appetite for coworking space. A large break room will double as event space at Venture X. Locally based Gather was the first coworking venture to set up shop in the neighborhood, about three years ago. The company operates a 17,000-square-foot facility at 2920 W. Broad St. It has another location at West Broad Village in Short Pump, and is planning to move its downtown coworking space from 409 E. Main St. to 309-315 E. Broad St. Novel Coworking, another national brand, opened its Richmond outpost in Shockoe Bottom at 11 S. 12th St. last fall. Kumbaya Space — a new coworking concept from co-owners and local business consultants Rosetta Quiah and Taffy Matinenga — is set to open in the East 51 building at 5151 Old Main St. in Rockett’s Landing. 1 Comment on "Florida-based coworking chain readies Richmond outpost"